Car accidents don’t just involve your vehicle. Your finances, work, and stress levels are only a few of the ways car accident victims are affected. Moreover, don’t forget about all the car accident injuries. They can be life altering, so if you’ve had a car accident in Prince Georges County, Maryland, you’ll need a PG County Car Accident Lawyer to help you with your case. Hit and Run: When a driver leaves the scene of an accident in which they caused a collision, it is called a hit and run. In most cases, the driver does not remain on the scene because they were doing something wrong at the time of the accident, such as driving distracted or because they were driving under the influence of drugs or alcohol. It is best to get a PG County Car Accident Lawyer with ample experience in cases with insurance companies, because they may try to deny your claim in a hit and run accident. Multiple Vehicle: Determining fault in these accidents can be difficult because three or more cars are involved. They can be dubbed a “pile-up” accident and are common in the stop and go traffic that is common in the DC Metro area. Insurance companies may be difficult to deal with in multiple vehicle accidents, so you’ll need a PG County Car accident attorney to handle your case. Single Car: When one vehicle hits another object, it is referred to as a single car accident. Icy or wet roads are often the cause. If you are in a single car collision, get a car accident attorney in PG County to help. Rear End Collision: Because of all the stop and go traffic in PG County, rear-end collisions are prevalent in the area. They occur, in most cases, when one vehicle is following too closely behind another vehicle, and the driver in the rear hits the driver in the front. The fault is usually placed on the driver in the back, but it some cases, the driver in the front is cited for causing the accident. If you are in a rear end collision, whether you believe you are at fault or not, reach out to a Prince Georges County car accident lawyer immediately. Rollover: This happens when a vehicle rolls once or multiple times. These accidents typically occur on highways with four or more lanes because of the higher rate of speed. 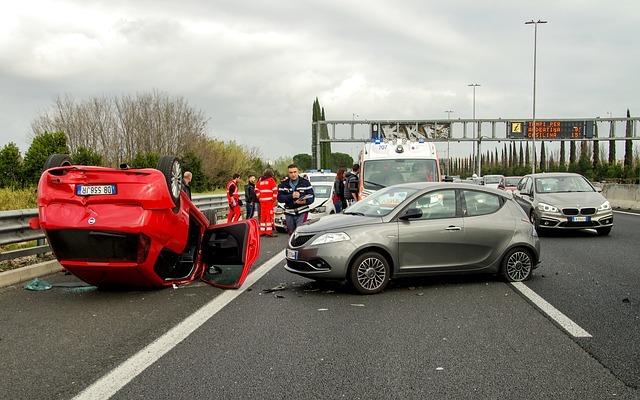 There are several reasons these accidents happen, and a car accident lawyer in PG County can help with your insurance company if they try to avoid paying your claim. Side Impact: These accidents often occur when one car runs a red-light or a stop sign and strikes another vehicle on its side. You may hear them referred to as “T-bone” or “broadside” collisions. There are multiple reasons these accidents occur, and whether you are at fault or not, your insurance company needs to cover the cost of the damages and injuries. A qualified PG County car accident lawyer will work tirelessly to make sure this happens. Head On: This is an accident that is less common in DC Metro area, perhaps because of all the stop-and-go traffic. However, head-on collisions do occur at both high and low speeds and happen when the front of two vehicles hit one another. An experienced PG County car accident attorney will work to make sure your case ends in your favor. Sideswipe: Parallel collisions can happen with two vehicles in a variety of different ways, either when both vehicles are in motion or when one car is parked, and the vehicle in motion hits it. Whether you are the driver or the victim, reach out to a car accident lawyer in PG County for help. If you need a car accident attorney in Prince Georges County, or if you need a truck accident lawyer in PG county, personal injury lawyer Larry Lapidus is your best option. He has four decades of experience when it comes to car accidents in PG County and will work relentlessly for you. Call the Lapidus Law Firm today for a free consultation at (202) 785-4555.